Making the perfect mashed potatoes has always been a mystery. There are so many ways and so many combinations through which you can make the mashed potatoes and all of them make up for an exciting side dish. However, in every process, extreme care needs to be taken to ensure a light texture and a blossomed flavour. 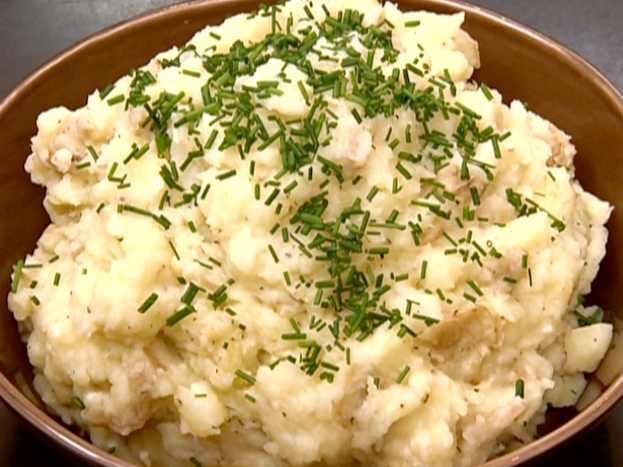 In this article, we have discussed two great rosemary mashed potatoes recipes. - Take a large pot, add some salt to it. Now put the potatoes inside it and bring the water to boil. Reduce the flame from medium high to medium and allow the potatoes to cook for 20 minutes more. - Place a pan on heat, add some oil to it and sauté the leeks until they become tender and golden. Add in the prescribed amounts of garlic and rosemary and stir cook for about two minutes. - Introduce chicken stock to the mix and keep on stir cooking for about 2 more minutes. After that, remove the pan from the flame. - Drain the potatoes. Mash them in a bowl and introduce the pan contents to it. Combine all the ingredients well. - Peel the potatoes and place them in a large saucepan which will be used for boiling. Add water to a level such that all the potatoes are covered with it and then introduce a pinch of salt, before boiling over medium high flame. One the water boils, reduce the heat to medium. - Heat the garlic in another saucepan, add the rosemary, and set aside after the mixture starts to simmer. - Drain the potatoes, mash them and add the garlic-cream-rosemary mixture and Parmesan. Combine the constituents well till a thick consistency is achieved.